Brandon Jergensen found himself standing outside of the Nebraska Student Union last September listening to evangelists preach on campus to those walking by. Often times, students consider these people to be crazy or a nuisance when walking to class, but Jergensen was genuinely interested in what one gentleman had to say, staying for a while to have a conversation. It was not long after this interaction that he decided to get involved in The Rock, a college ministry group through Candlewood Church. A junior chemistry major, Jergensen is now one of seven leaders of The Rock. As a leader of the college group, it is his responsibility to meet with other men one-on-one to go through bible studies and the gospel, as well as to help guide new members. Each week, members of The Rock join together for a service on Wednesday nights at 7 p.m. Often a pastor from Candlewood or a sister church give a sermon to the members. But The Rock isn’t just a one-night-a-week group. 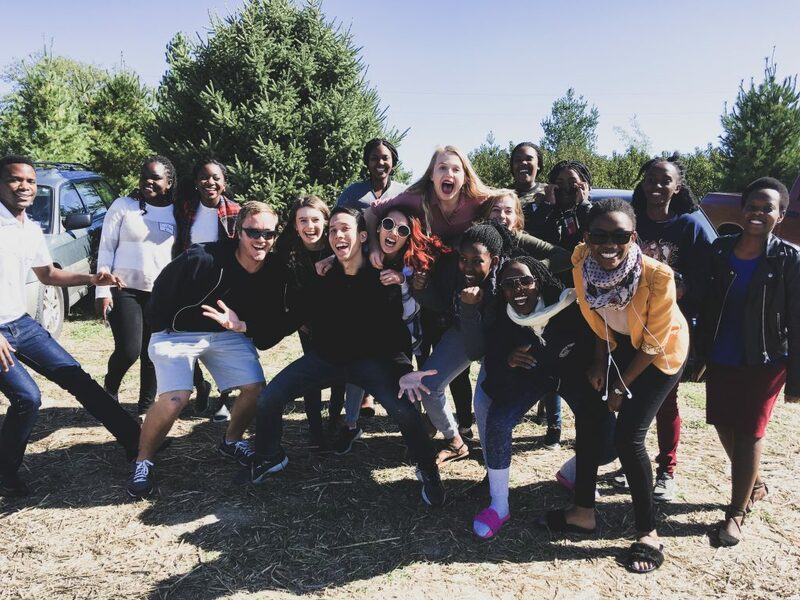 The Rock has become much more than a college ministry, but a place where students can come together to grow in their faith, spend time with one another, and develop genuine friendships. Students are invited to The Rock in two main ways. The most common is current members build relationships with students on campus. They create friendships with peers in their classes or other organizations and extend an invitation to participate in The Rock’s activities. The Rock has seen significant growth recently, becoming one of the largest groups at Candlewood Church. Jergensen credits this growth to having a lot of relationally strong people with good character in the group. These are people who are reading their bibles every day, praying every day, doing service, and sharing the gospel. A strong and passionate mix of people has allowed The Rock to flourish and will leave a ton of opportunity for future leaders. “I love the direction that The Rock has gone since I have been a part of it, and I truly believe this organization will be expanding greatly in the coming days if that continues to be God’s will,” Jergensen said.